Ford Fiesta S2000 driver Ott Tänak finished runner-up in this year’s Super 2000 World Rally Championship (S-WRC) after a final round battle at this weekend’s RACC-Rally de España. Martin Prokop secured a second podium for Ford by finishing third in another Fiesta S2000. Only three points separated Tänak and Finnish archrival Juho Hänninen before they entered the final round of the eight-round championship. Tänak’s early exit, however, dashed the 24-year-old’s hopes of snatching the championship title despite him racking up four incredible victories over the course of the season. The Ford Fiesta S2000 has achieved a remarkable 15 podium spots during this year’s S-WRC and M-Sport’s award-winning car has finished in three of the top four spots of the final leader board. Portugal’s Bernardo Sousa finished fourth in the standings and Nasser Al-Attiyah was promoted to seventh after his second place finish this weekend. Tänak has had an incredible debut S-WRC season but the young Estonian was dealt a fatal blow when he was knocked out of title contention after breaking the front cross-member on his Ford Fiesta S2000 during Friday’s opening stage. The driver returned on Day 2 under SupeRally regulations where he racked up two stage wins. Tänak was lying sixth in S-WRC at the end of Day 2. The final day of competition posed no major problems for the 24-year-old driver who consolidated his sixth place finish. Tänak’s stunning performance over the course of the year has seen him finish on the podium more than any other S-WRC competitor and his results have tipped him as one of rallying’s biggest up-and-coming stars. Martin Prokop had a strong season in this year’s S-WRC. 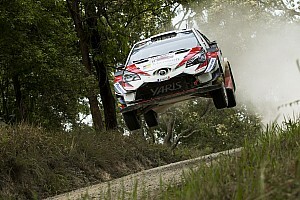 Prior to Spain, the Czech driver had a mathematical chance of winning the title but needed to rely on the misfortunes of rivals Tänak and Hänninen in order to succeed. Prokop held fourth at the end of the first day but moved up to third when Craig Breen suffered from driveshaft problems on Saturday morning. The driver consolidated his third place on the final day of competition but 15 points were not enough to challenge Tänak for runner-up position and the former J-WRC champion had to settle for third for the second year running. Six-time Middle Eastern Rally Champion Nasser Al-Attiyah delivered a polished performance over the course of the weekend to secure second in the Spanish S-WRC and seventh in the championship. The Qatari driver racked up five stage wins over the course of the weekend and fought hard throughout the event to keep Hänninen behind him. On Stage 10, however, Al-Attiyah damaged his gearbox after a small off which narrowed his lead in the S-WRC to a mere 0.4 seconds going into the final day. Al-Attiyah was unable to catch Hanninen on the final day but his strong performance this weekend has launched the driver to seventh in the final S-WRC leaderboard. Irishman Craig Breen, who took over Eyvind Brynildsen’s registration for the final round of the S-WRC, had a sensational weekend in the Ford Fiesta S2000. The 21-year-old driver set the fastest time on Stage 2 and at the end of Day 1 the young driver was sitting third in S-WRC and 11th overall. Saturday morning, however, proved traumatic for Breen who suffered time loss from a broken right-rear driveshaft seven km into Stage 7. 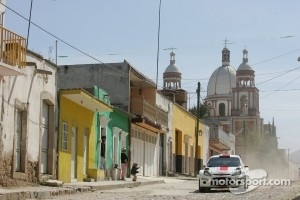 At the end of Saturday Breen had dropped to fourth in S-WRC. 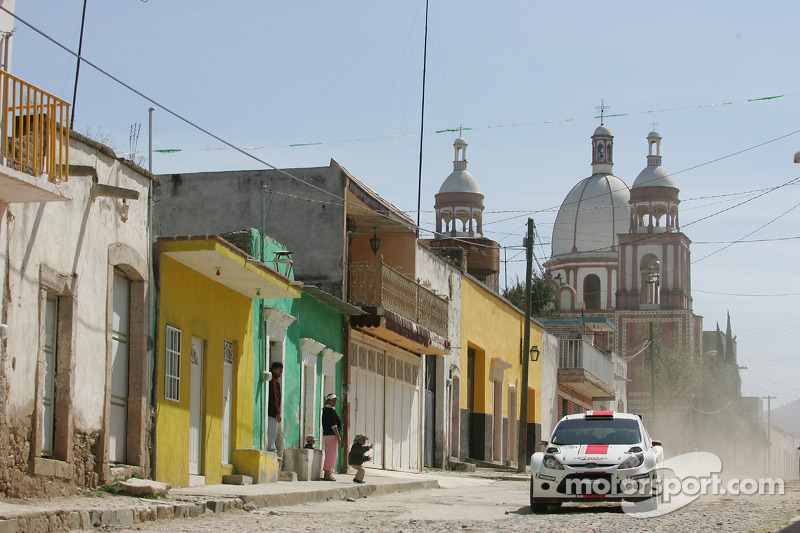 Breen got off to a flying start on Sunday and set the fastest time on the day’s opening stage. The Irish driver went on to consolidate his fourth place finish and full of confidence going into the final FIA WRC Academy round of the season – Wales Rally GB. Bernardo Sousa’s final S-WRC event of the season got off to a difficult start when he was hindered with brake problems on the opening stage which caused him to go off the road on five separate occasions. The Portuguese driver encountered more bad luck on the road section to Stage 6 when his Ford Fiesta S2000 suffered from alternator failure. He held fifth overnight. Day 2 did not fare well for Sousa who retired before the start of Stage 12 with engine problems. 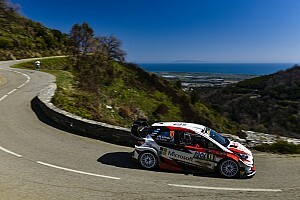 The driver did not return for the final day of competition in Spain and will now concentrate on his next rally – Rallye du Valais – which he will contest in Switzerland next weekend. Aaron Burkart was not nominated to score points in the S-WRC but had a solid performance at the wheel of a Ford Fiesta S2000 over the weekend. 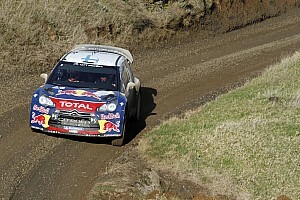 The German driver used Friday to get to grips with the car and recovered from a high speed spin on Stage 7. Burkart had a relatively trouble-free day on Sunday and pulled into the final service in Salou 19th overall and fourth out of the Fiesta S2000 crews.